Capitalize on Today’s Most Powerful Quantitative Methods to Construct and Manage a High-Performance Equity Portfolio. 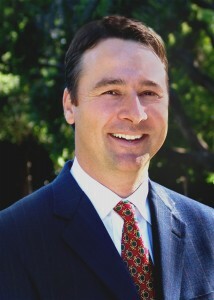 Ludwig B. Chincarini, CFA, PhD, is Professor of Finance in the School of Management at the University of San Francisco as well as Director of Quantitative Strategies for United States Commodity Funds with over fifteen years of experience in the financial industry specializing in portfolio management, quantitative equity management, and derivatives. He also works with an angel group to help start-up companies. Prior to that ne was a member of the academic council of Index IQ which was bought by NY Life in 2015, where he was instrumental in creating and developing some of the newest alternative ETFs, like QAI (the first hedge fund replicator), CPI (the first real return-inflation hedged vehicle), and MNA (the first risk-arbitrage ETF), as well as others. He was on academic council to FutureAdvisor, which was bought by Blackrock in 2015. He was Director of Research at Rydex Global Advisors (now Guggenheim), where he co-developed the S&P 500 equal-weight index and helped launch the Rydex ETF program. He helped build an internet brokerage firm, FOLIOfn, designing its innovative basket trading and portfolio management platform. He also worked at the Bank for International Settlements (BIS) and Schroders. He is the author of Quantitative Equity Portfolio Management and The Crisis of Crowding . He received a PhD from the Massachusetts Institute of Technology and an BA from the University of California at Berkeley.